Chablis Masterclass Power Point Presentation in PDF. Thanks to all that attended and donated to the "Chablis for Charity Masterclass" on April 26th. We raised $1500 for No Kid Hungry. As promised, I uploaded the Power Point Presentation in pdf format for your files and use. 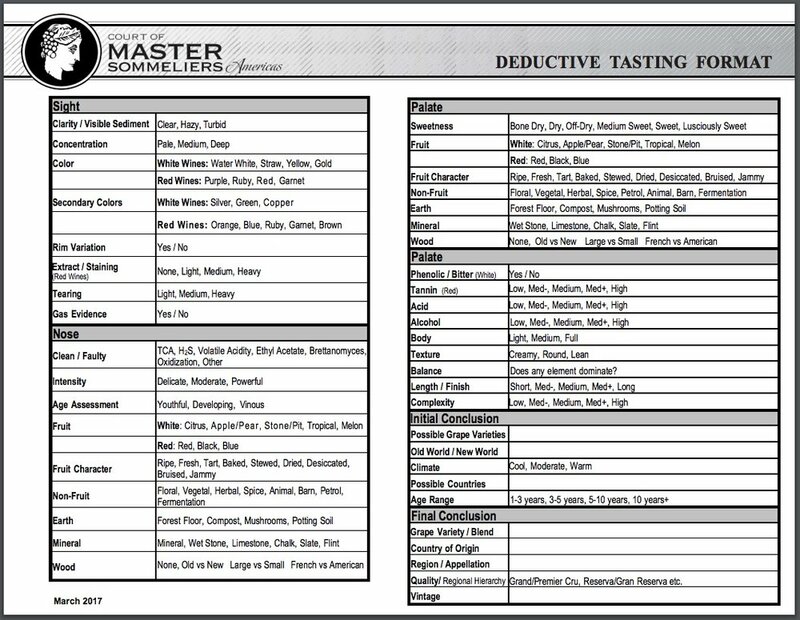 The Tasting Mat with the map was updated and also avalable for download here. 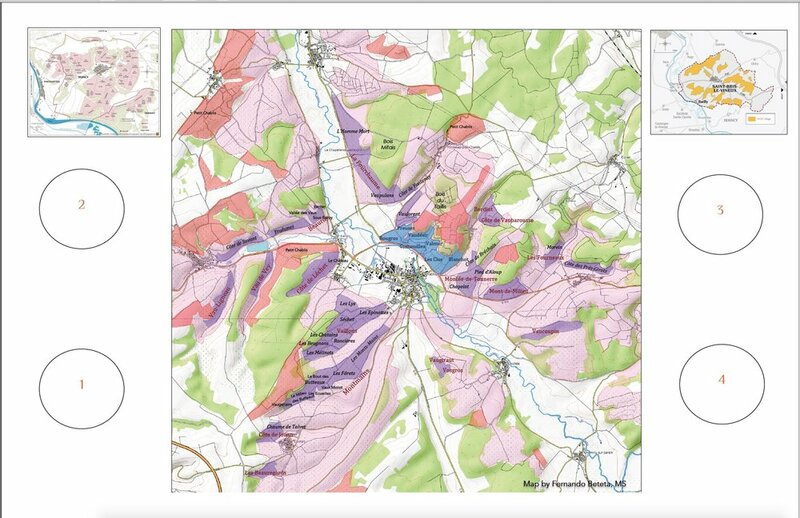 Interactive Map of Chablis Grand Cru 'Les Clos' by parcel with all owners. I mapped out the parcels of Les Clos, arguably the best vineyard of Chablis Grand Cru. 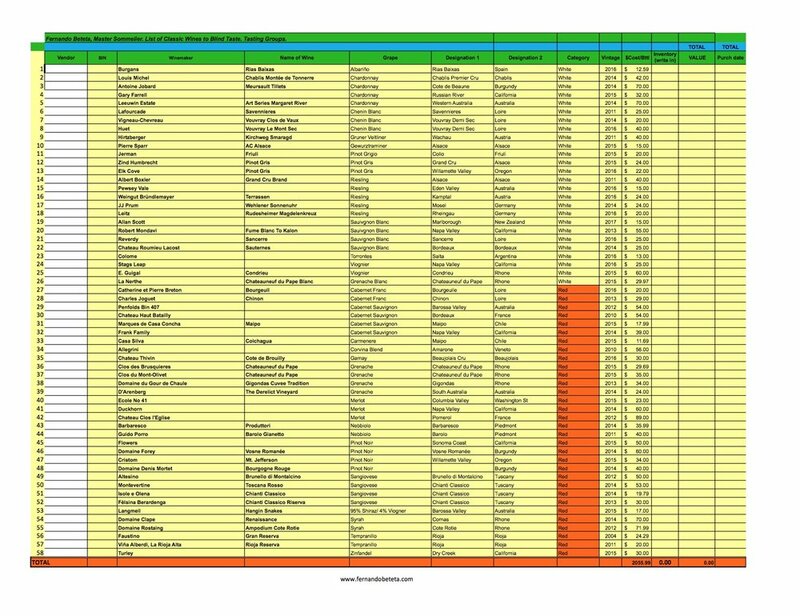 Click on the interactive map to view the ownership. 10 years ago when I was studying for the Master Sommelier exam, I wrote down thousands of practice questions. I wasn't into the index paper piles of flashcard. Instead, I had them all on word documents so I could upload to my mobile phone. WSET Wine Courses in Chicago with Fernando Beteta, MS.